Looks like contact would cause significant damage. That bow in a T bone = a big hole in the side, rather than taking out the gunwhale as with something like a J80. Presumably the designers had very specific ideas about the area in which it is going to be used? I assume the sort of affluent Solent type area where clubs might have the funds to set up a fleet and that have deep water with little or no weed. I can imagine getting weed off the keel afloat. The question so often comes down to money. Does the manufacturer offer leasing? What sort of payment schedules are available? Finance, what's the interest rate? and so on. How long does it take to get one? 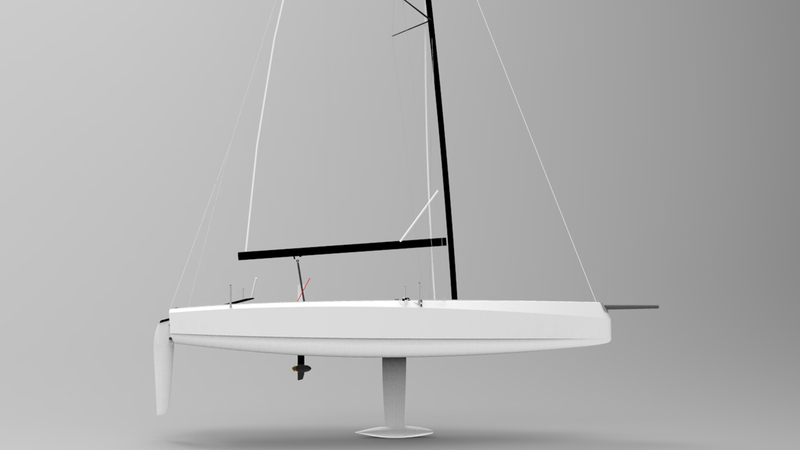 must be solent based as the rudder is fixed and becomes useless for just about anywhere else if launching from the trailer as you wont be able to steer the boat under engine, nice concept shame about execution. sorry to be so cynical but it is fairly boring seeing boats designed for just the south coast getting spat out the whole time. An easy fix would be a cassette rudder. What's different about how boats are launched in the Solent to the rest of the world? It depends what RS are aiming this at. 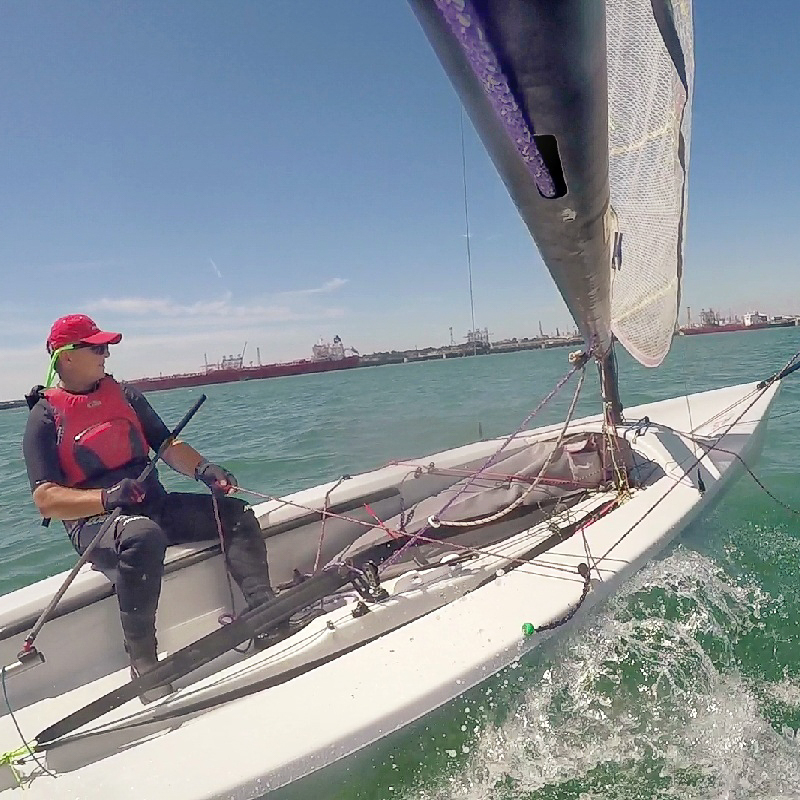 If they want an international class they're up against tough competition in the J70 and SB20, but from the blurb it seems they have club racing in mind and club fleets. There's quite a few optional items which suggest it's a platform that can be tailored to local conditions... like fitting a lifting rudder perhaps? For club fleets their going up against well established local fleets in the solent (swallow, X, victory and their own RS elite). Also, a lot of those local classes aren't bothered about getting national competition, they just want to sail what other people sail, and I think a lot like the classic look of the swallow / x boats. you'd struggle on some east coast rivers launching and recovering thats all Mozzy. Less cliff edge like rivers where i sail and less facilities with crane launching so the rudder would ground long before the trailer was reached. When we had our SB3 (before they went SB20) the rudder didn't matter because you could steer with engine to and from the trailer. Our K6 had a cassette rudder, so again wasn't an issue. Cant see why RS would want to limit the appeal to ALL clubs and venues by putting a fixed rudder on it. As you say may be an optional extra, i wouldn't want to pay extra mind, just have one or the other. Im being very grumpy today but it really grinds my gears, these designers need to get off the south coast a bit more. I'd imagine plenty of yacht clubs have that kind of money. What they choose to spend it on is another matter.